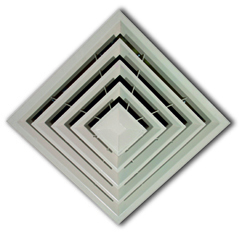 The Diffuser diffuse the air uniformly from the supply air duct. Diffusers are made out of GI / MS / SS /PVC duly powder coated for better appearance and long life. The Linear diffusers will be made out of Galvanized Iron duly powder coated. 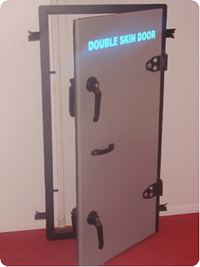 Airtight doors are made out of GI double skinned insulated with glass wool to avoid the thermal radiation. Coimbatore Air Control Systems can offer good technical support and services after installation. Our customer support department works round the clock to solve any queries that may arise after installation. We give you a guarantee for a period of 12 months after installation.